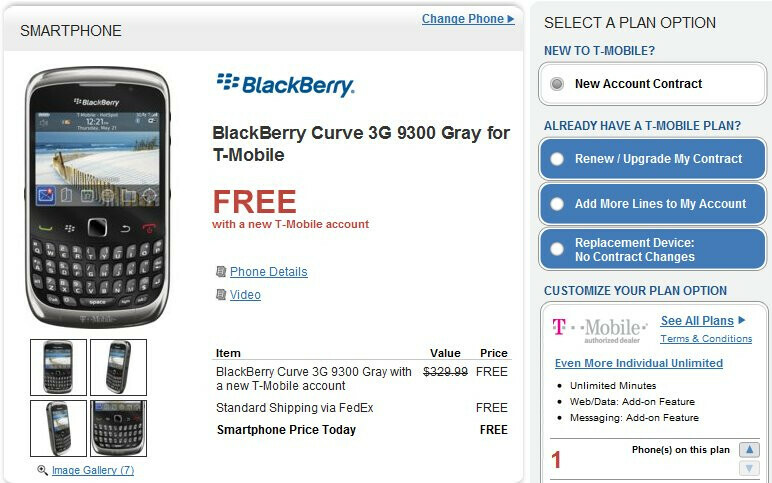 Wirefly surely didn't waste any time in considerably dropping the price of the recently just launched BlackBerry Curve 3G for T-Mobile all the way down to free for new customers signing a 2-year contract. 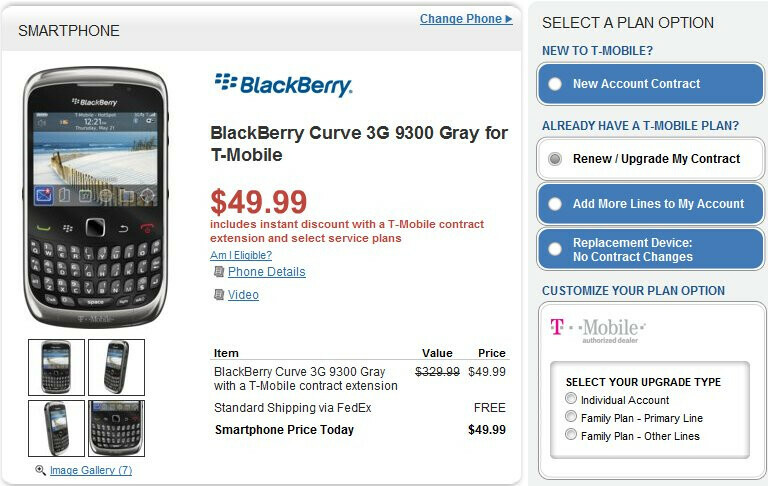 Although T-Mobile's own pricing of $79.99 isn't that bad at all, you can't overlook the no cost offer that the online retailer is offering – even when they include free shipping with the purchase. If you happen to be an existing customer with an eligible upgrade, you still get the smartphone at the reduced price of $49.99 – which isn't too shabby in itself since you'll still be saving some additional cash. So if you happen to be really strapped for some money right now, you may want to consider checking out Wirefly if you intend on choosing the BlackBerry Curve 3G as your next handset of choice.